Our goal and our mission is to share our lives with these additions to our family. Whether we are showing, hunting, or just hanging out on the weekend, the setters are part of it. We want our furry friends to be well socialized and well trained. They are just as happy in the field chasing birds as they are on the couch or in the car going for a weekend ride. If you are looking for a companion, a friend, a close working hunting dog and a gentle family member, look no further. 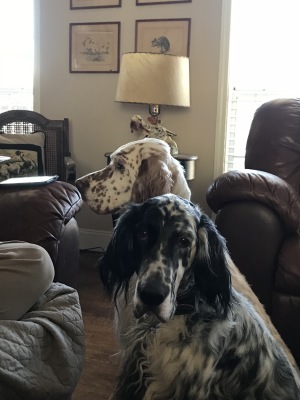 The English Setter the perfect companion that is sure to bring years of fun and entertainment!